Designing your own sampler bands or patterns can seem like an overwhelming task. This book presents a way to be creative by setting limits. All stitches are stitched inside the box, except that the box is turned 45 degrees, making it a diamond (a 12 thread by 12 thread diamond). You can use any number of boxes (diamonds) and stitch them (or not) in any way you want as long as you "stitch inside the box." These stitched boxes can be fitted into shapes (circle, heart, egg or square), used as backgrounds or patterns in other designs, or stitched as bands in your own samplers. 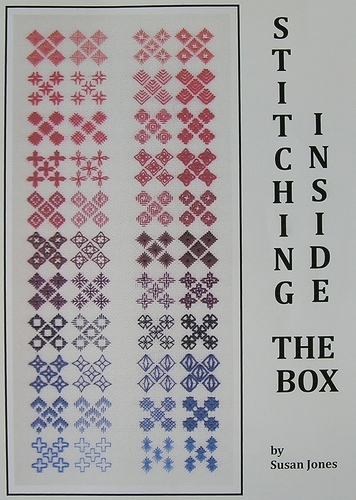 These techniques can be used for both needlepoint and cross stitch designs.